Bubbles are fragile, ephemeral things. They float and fly high above, dancing to and fro during their short, frantic lives. But what happens if a bubble gets tired of flitting hither and yon? What if the bubbles decide, "Hey, I'd like to settle down, maybe spend some time on personal growth"? Welcome to Bubble Tanks Tower Defense from Hero Interactive, a nifty little tower defense game featuring the wildly popular bubble tanks from Bubble Tanks and Bubble Tanks 2. They're back, but this time they're letting the enemy come to them. 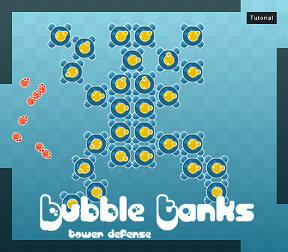 Bubble Tanks TD is a free-form version of a tower defense game. Use the bubble tanks to create deadly paths to funnel your enemies through, attempting to wipe them out before they reach the exit and wipe you out instead. Placement of the tanks is limited only by your imagination. Well, your imagination, the shape of the room, the path the enemies take, how many bubbles you have in stock, and several other factors as well. A nice two stage tutorial gives you all the basic information you need, and then you're on your own. Choose stages by traveling along one of several different paths available, giving you access to levels that range from easy to fiendishly difficult. Hover your mouse over a stage and it will let you know the difficulty as well as give a quick snapshot of the room itself and the direction the enemies will be traveling. Choose the stage, place a few towers, then let the enemies fly. Foes come in several different varieties, from fast to slow, from fragile to tough, and some nasty ones that spawn other enemies, break apart into multiple enemies, or ghosts who disdain your carefully-crafted paths and fly through everything in a direct line to the exit. Once your foes begin to arrive, your faithful tank towers will do their best to wipe them out as long as they stay within a certain range. Waves of creeps keep coming until either they or you are dead, it is as simple as that. Although gameplay can be controlled with just the mouse, there are some keyboard shortcuts that will become useful after a while, especially for experienced tower defense players. At the beginning, you have a limited number of bubbles with which to purchase basic bubble towers. Every enemy destroyed produces more bubbles that you can spend on more towers or on upgrading your existing towers. The fun is, dear gamer, in the upgrades. Each basic tower can be upgraded to four different types: a shooter; a shock-wave type tower that damages everything within a certain radius; a ghost tower that specifically targets ghost enemies; and a "boost" tower that boosts the abilities of the towers around it. Each type can be upgraded four levels, each affecting the gameplay differently. The best part is the mega upgrade. 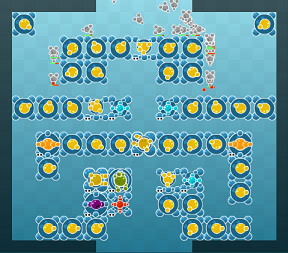 Place four bubble tanks in a 2 x 2 pattern (make sure they are touching each other) and upgrade each to a level 4 type (which type is up to you). Once all four have reached level 4 upgrade status, a little "m" appears in the upper left corner. 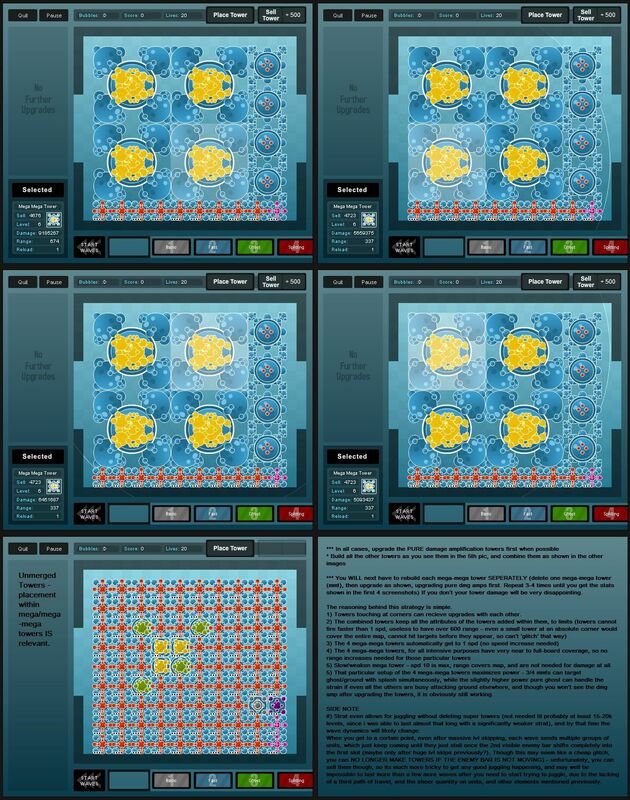 Click on it to morph your tanks into a mega-tower which will have vastly improved firepower. The type of mega-tower is determined by the mix of types in your four tanks. You can even place four mega-towers in a 2 x 2 grid to create a mega-mega tower, awesome to behold in its destructive power. If you find that some tanks are just not getting the job done or are awkwardly placed you can sell them back for more bubbles for more upgrades or to place new towers in a more convenient area. Analysis: Be warned, anyone who likes tower defense games may become horribly addicted to Bubble Tanks Tower Defense. The learning curve is smooth and easy, as are the stages, developing gradually from simple to downright nightmarish. Be prepared to spend quite some time with these charming little bubbles who have gotten all domestic. The graphics have changed little from Bubble Tanks 2, but the basic design is quite lovely to behold and makes for easy identification of your various tower and enemy types. It also makes the game easy on the eyes. Nice music and sound effects round out the gameplay experience (which can also be turned off). Bubble Tanks TD runs quite smoothly even in the more difficult levels, which is a plus. What makes this such a fantastic casual gameplay experience, though, are the wickedly fun upgrades and the smooth learning curve. Take your time, experiment a little, play around with placement and paths, and explore all the possibilities the upgrades have to offer. You might find that more than a little time has flown in the process. That may be the only complaint there is about Bubble Tanks TD, the time suckage. Come, join these trigger-happy bubble tanks as they hunker down for battle. With so many levels and upgrades, the player is guaranteed a wonderful, tower defending good time. Oooh, this is nice. Very smooth. This is a great example of what tower defense should be. 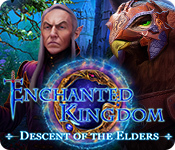 I especially like the tree of levels, and the hints of basic strategy for tower placement with the tutorial levels. Anyone try the FML option yet? It's hilarious(ly evil). I'm slightly disappointed the megacheat still lets you save high scores. I also feel like I might have been more motivated to play through the level tree if the ones I couldn't get to were more hidden. I like unlocking things, and revealing the whole tree took that away. I love the infinite bubble cheat, which allows you to make MASSIVE blocks. It's amazing at how epically you destroy EVERYTHING. I usually read the reviews and comments before playing. But the words "Bubble tank" and "tower defense" were all I needed this time. make a mega mega tower made COMPLETELY from the normal area burst towers (nothing else, I found out that ONE other tower will mess this up), then create 2 mega mega towers made completely from power boost towers and put those next to your mega mega area burst tower and check it's damage. ... it just isn't fair!! 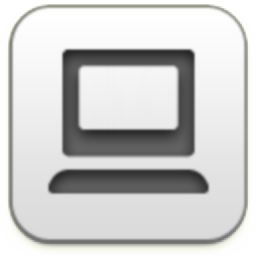 It took 3 or 4 times of looking at the blog image to realize it looked like the JiG guy. Hehehe. I made a tower with over thirty million damage. And a reload time of one. I quit after wave 1003 because I got bored, and my score had overflowed the box. The fire rate boosts have a lower limit of 1. They round down when improving, but don't round up when the tower is removed. If you build a rate of fire tower, then sell it, you can progressively lower the rate of fire on any tower down to 1, without having to keep the boost tower in place. I haven't checked if this actually is cost effective, as I've only done it on unlimited levels. I like the levels tree, and the way the boost/other effects are useful. There's no info on enemy health or on tower effects (especially on megatowers, where the effects are there but can't be determined). They expect juggling to be nearly necessary, going so far as to suggest it as an 'expert technique'. Except for incorporating boost effects, megatowers aren't very cost-effective. You only really get to use them on the infinite levels. Base towers are useful; building a long maze is a good idea. Area effect towers are actually useful. Anti-air/ghost towers are comparatively weak. I got 23 billion points on level 26 before I got very bored and just deleted all my multimillion-damage mega-mega towers and let the hoards of tanks through. is however useful for figuring out how mega towers work. Very entertaining. I'll be playing this one for a while, and I was even tired of the tower defense games. Difficulty seems to ramp up pretty quickly, I'm curious what different strategies I'll have to come up with. I'm having a heck of a time getting past ID 11, the Splitter Only level. Even with juggling, if you miss one group you're pretty much history. Anyone have any tips? I got a perfect victory on ID11 without juggling or any special techniques. Make sure any holes that the splitters can split through are plugged up, and saturate the area with AoE. Namely, the splash towers and freeze effects. Trying using range increase on a single freeze effect tower, and fire-rate increase on a collection of splash towers. Focus on burst towers. I set up a shortish maze from the get go, then immediately started getting some burst towers. Grow the maze as needed and keep updating your bursts. I never got a burst tower all the way upgraded, but I ended up with 5-6 level 3 ones. Putting bursts later in the maze helps more, since the splitters are more likely to have split, leading to many small but weak enemies. my first time playing and ive got 4 mega mega towers 3 mega towers 11 fully upgraded damage boost and 1 sniper tower, my best mega mega tower has 619685 damage 6300 range and 1 reload, im on wave 1063 i have 73816683 score. This is a good game 5*, i think ill spend many hours playing i didnt look but hopefully theres a harder endless level. I "paused" after opening the second level and it is not going away from the pause screen. I must be doing something seriously wrong, or perhaps I'm just too picky. I STRONGLY dislike games that are "impossible" to play. Listing a cheater's style as "advanced player method" is a crock. After playing only the first two intro screens I tried my hand at the unlimited game just to get the hang of it. I really like TD games and it's a thing with me that none of my patterns leak ANYthing. I can't get past the sixth or eight wave even. Yes, I'm trying to set up a system that will create some of the mega towers later rather than just making a maze and upgrading as I go but still... I should be able to do SOMEthing with this mess. Bleah on this irritating game. AaronzDad, try building something maze-like with the mega-construction behind it. That's how I did it the first time. Found a bug: Twice I've finished a level, but the game didn't give me the victory screen. I had to click exit to go back to the level select, and the level was not marked as complete. I suspect it was connected to the fact that I was in building mode while the last enemy was defeated (after pressing T). Nope. I tried some different ways of playing and making different mazes. I never seem to have enough power to upgrade towers enough to keep from leaking. I give up. Either I don't get it or this game sux. For all your boasts of multi million damage towers, you are forgetting the biggest potential of all: Burst. It's quite possible to make a mega mega burst tower with over 50k damage and over 700 range. This basically means you are immune to ground. All you need to compliment that is a few multi million damage ghost splash towers with speed 1 and you are sorted. Why waste shots on ground when you can guarantee nothing on the ground will last. Also, try combining bursts with a ghost turret. Note that bursts will never get below rate 10. Note that rate boosts do NOT work in mega megas, so keep them in just normal megas or normals. it doesnt take much to get the speed of megas up though, they are fast to start off with. My favorite level is Level 40, Named "Cut Through". It is tier 8, third from the top. you can set up a tiny juggling post in the second clear area. Any additional money can be used to build a simple maze in the first tiny little area. Follow this strategy, and it is a lot more fun, but still just hard enough to drive you insane. Good luck! My high score on it is 660. OK. So finally after leaking a few in the beginning rounds I built up some decent towers to stop anything from making it through. Then I started designing and building some mega towers, then the mega-mega towers. All the while I didn't pay a lick of attention to any enemies coming through because I didn't need to worry about 'em. So. After building four mega-mega towers I started clicking on the advance enemies buttons at the bottom. I clicked as fast as I could and made it to wave 2700-something before the ghosts finally did me in. That's it?? You get a few levels of impossible at the beginning then hundreds, no THOUSANDS of levels of invincible after that?? What kind of game is this? Yes, I understand they have all those different screens for you to play on and every one is a new game. But isn't building then maintaining a long-lasting defensive screen the whole point of TD games? Dif'rent strokes for dif'rent folks I know. Definitely not my cup of tea. 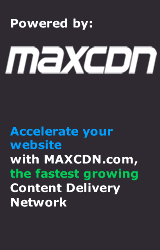 What is the megacheat? How do you get it? Pretty graphics. Nice sounds. Tight action. Nice job. Would it be so hard to take a minute to draw a few more megatower graphics so, say, the Burst megatowers look different from the Boost megatowers? Also, the tower target-selection logic is stupid. Towers fire on the creep closest to the exit - NOT on the creep closest to the end of your maze-path. Very frustrating. Hey, I like it so much but there is one thing WHEN is Bubble Tanks Arena COMING OUT! That looks so kool right right?! How many levels can you get a "Perfect Win" on WITHOUT juggling? You are allowed to buy and sell towers, but not so as to make the creeps reverse direction. Almost all are possible to do this on. "Cut Through" (#40) - didn't even try. "The Funnel 2" (#43) - I always lose 1 life on the first spawner boss - just not enough firepower to kill him in that short maze. Those last two you have to have quite a good maze and do the right thing at the right time. Sniper towers are devastating and not too expensive. Once you have one sniper tower, you can get lots more power cheaply by putting LEVEL ONE damage enhancers around it - touching at one corner diagonally works fine. 25% more power on a sniper for 40 bubbles is a real bargain - 160 bubbles for 4 such enhancers will double your sniper's power! Then you can add more sniper towers and share the damage enhancers. Other improvements are not nearly such a good deal. Of course, some levels you MUST eventually have an area burst and probably a slow burst as well, sooner or later, for the splitters and the ghosts. After 30 min of testing, i hav found the best combination for mega-mega tower. It got boring after level 9100. I'm looking forward to a version 2 that is hopefully better balanced. No joke. I have 4 mega mega towers comprised of mostly power boost mega towers and this is the second time I've gotten the same damage tower. I'm guessing it's the max or very close. The range could easily be upped by adding a range boost tower, but it's the one closet to the entrance so I don't see the need. I'm on the top level of the first three. It's the unlimited waves one. I'm on wave 5036 currently and just now starting to slow down. I've left my Mac running all night and all day to do this though. Amazing Mega Tower: two snipers mixed with two machine guns. A single one of these can get you through most waves and cover the entire map when placed in the center. I think I may have developed the most powerful setup for the unlimited waves option. 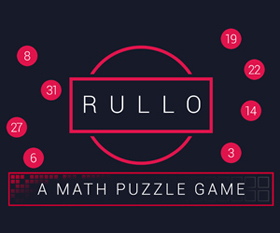 If you want to try out the game first, you might not want to see this link. the reload of the first two appear to be faster than other towers with a reload of 1 that I have made. The thing I hate is you could build towers with the same combination but depending on where you place the base towers and the order in which you combine them you get different stats. If you build a mega mega tower it shouldn't matter where you place the orginal base tower and what combination you combine them in when they have all the same base towers. Mega tower can do as much as 7000 DMG. 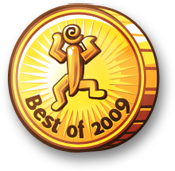 best of 2009! Anyway,great game. Going out of my mind trying to figure out how to beat Spread Out and Movin On Up without juggling... no matter what I try, it just doesn't work. Behold my towery buildery skillz! What is the combination of towers you guys are using to get such insane mega-mega towers? iv gotten mega towers with basic splash and machine gun and snipers with only 95 power, what it the deal on losing power with merges? I think its really more fun figuring out yourself how the merging works. Just start small with various configurations of mega towers, and one moment you will get the concept, and then everything follows right out of it. I've just opened up the game again after a while of not playing, and i can't get the mega cheat button to get all de-selected? Is there something to this, or am i just being a n00b? I'm sorry. Now that i re-read that, that was a bit unclear. my bad. I mean to say i can't get the mega cheat button to turn on; I can't click on it. Is that any better? I love this game quite a bit, but I find that the later levels simply too hard and too frustrating. I am especially a problem that "juggling" is not only encouraged, but required for those levels. So yes, it's a fun game, but once you get midway through it's an incredibly frustrating experience.